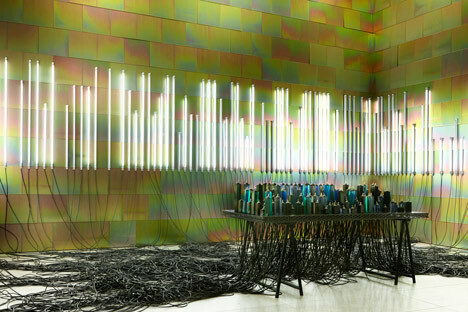 Via Dezeen, a funky but cool installation at the London Design Festival 2013. Fluorescent lights are controlled by analogue toggle switches in this interactive installation by Faye Toogood for design brand Established & Sons (+ slideshow). “Interactive” for sure, but no computers were harmed in the making of this installation!